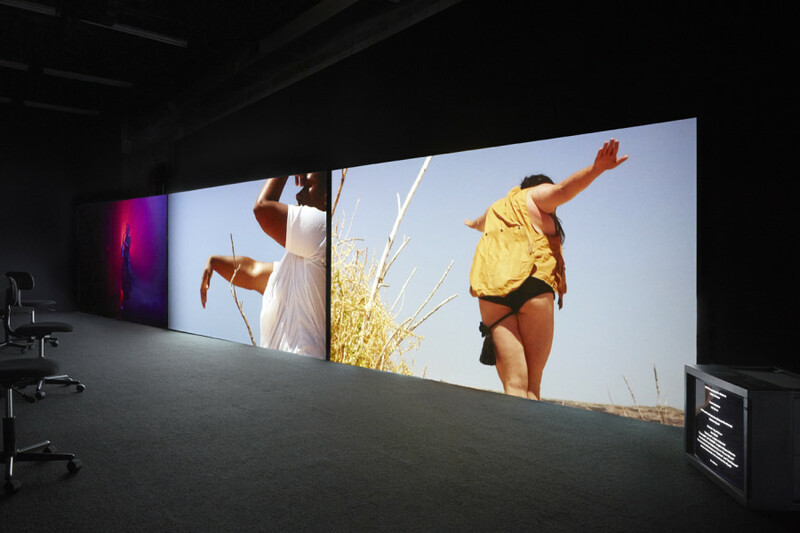 A 4-channel video installation, A Smeary Spot (2015) is the opening episode of Negative Space. 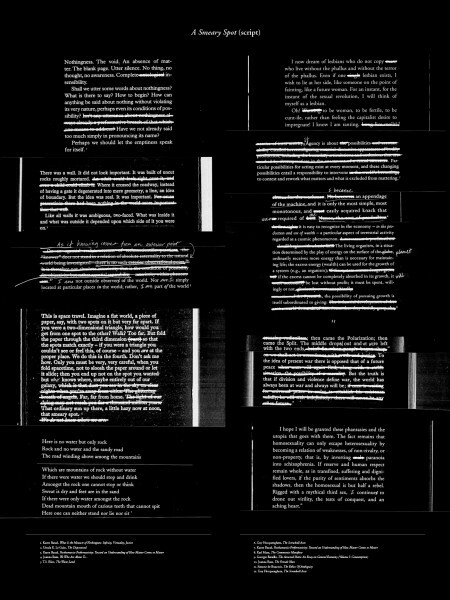 The title, A Smeary Spot, is quoted from Johanna Russ’ We Who Are About To…, referencing the after effect of gazing directly at the sun. This episode is built around sun’s multiple resonances, and is the orbital center around which the other four episodes circulate. 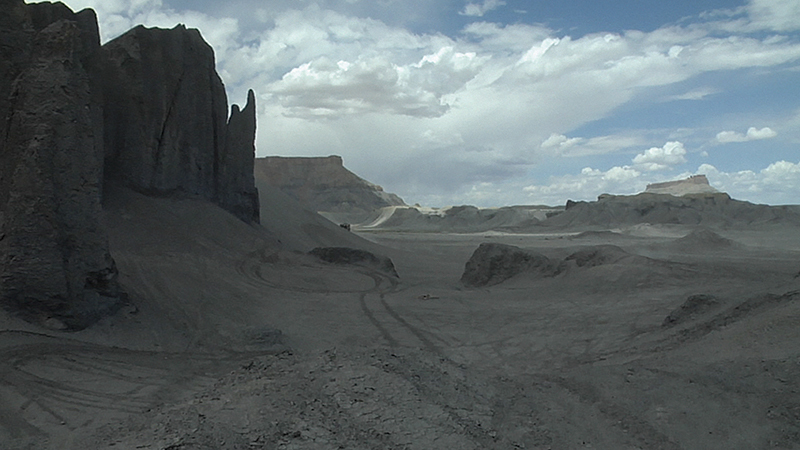 The video is staged in two sites: the deserts of southern Utah and a black box theater. 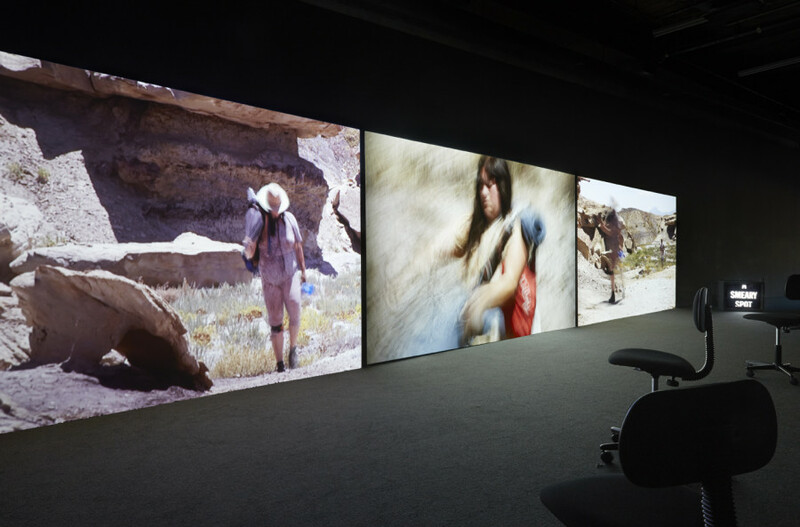 The desert and theater operate as both real and psychological spaces that represent the vast infinitude of the ‘void’, a site of potential and ‘becoming.’ Performers wander the desert gathering and shedding equipment for provisional living (camping gear), while seeking im/material resources—water, smoke, light and waste. 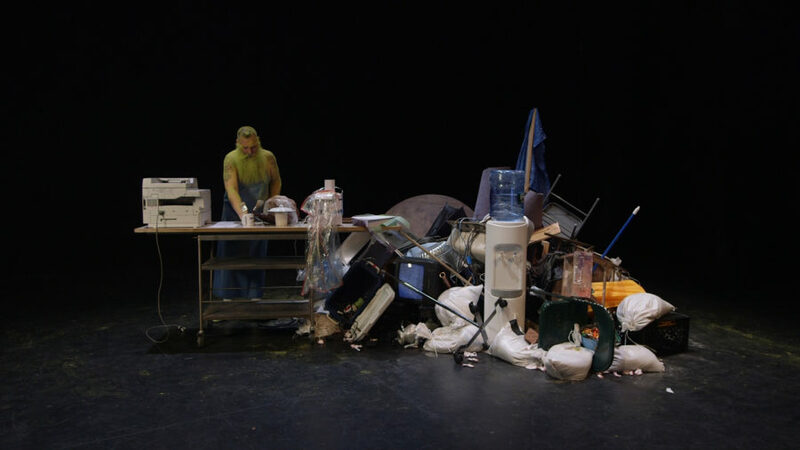 In the theater, performers build their world from a central pile of garbage while reciting a script culled from multiple texts. 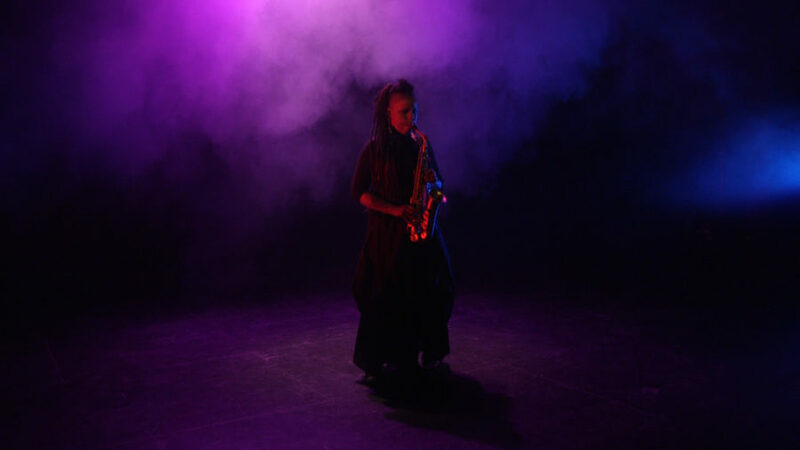 A poly-vocal recitation of the script unfolds like a manifesto, rooted in ontological fluidity and difference. A Smeary Spot sets up larger questions of labor, resources and land in a world that insists on both containing and rejecting marginalized subjects. A Smeary Spot is projected on three horizontally aligned freestanding walls that cut at an angle the architecture of the exhibition space. 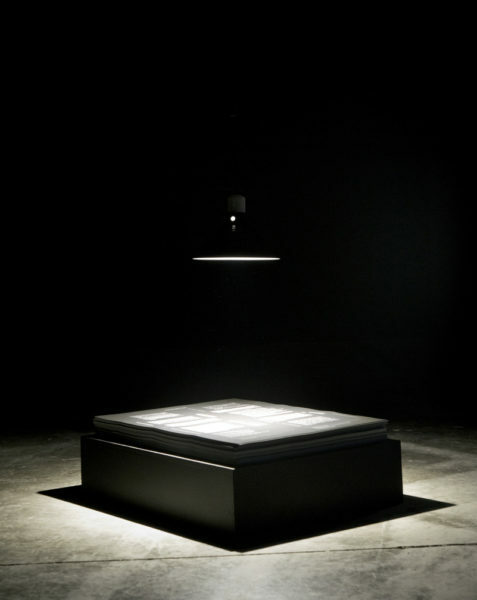 The gallery is painted black to mimic the es­thetics of the black box theater. Wheeled office chairs (props also used in the video) provide mobile seating and 6-channel audio, scored by Geo Wyeth, orchestrates the audiences’ attention across the three primary video channels. The fourth channel runs separately on a box monitor and contains foot­noted credits. The script from ‘A Smeary Spot,’ available as a take-away poster within the installation. 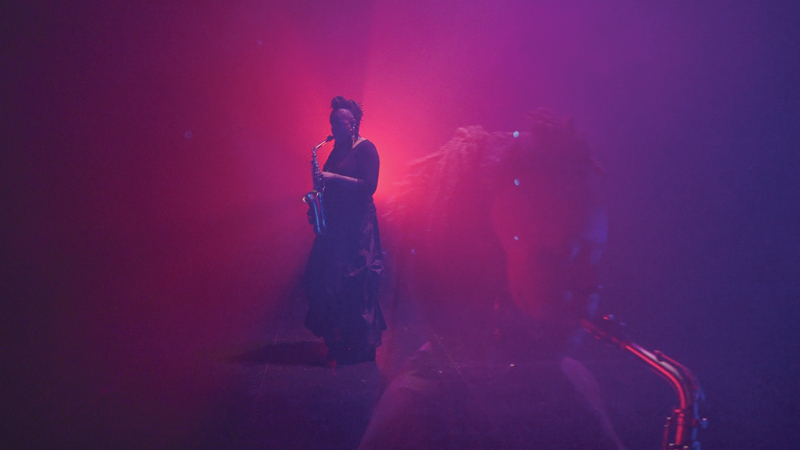 Still from A Smeary Spot, OOO Sax Solo. 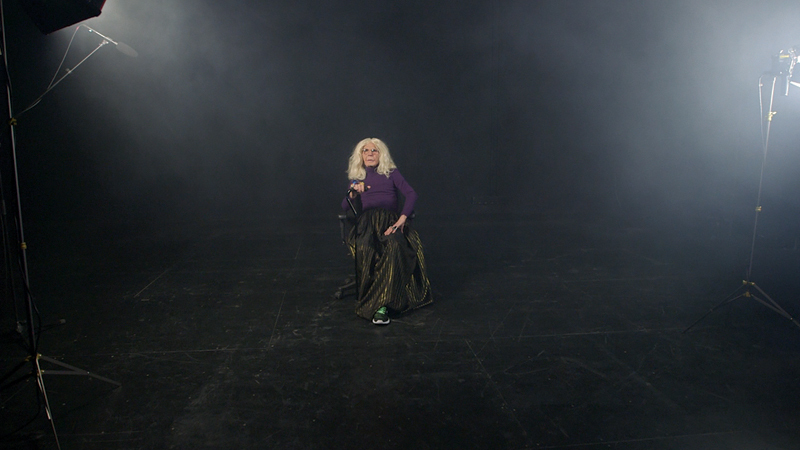 Still from A Smeary Spot, Mother Flawless as ‘the clairvoyant psyche,’ sets the stage by delivering a poetic excerpt from Karen Barad’s What Is the Measure of Nothingness: Infinity, Virtuality, Justice. 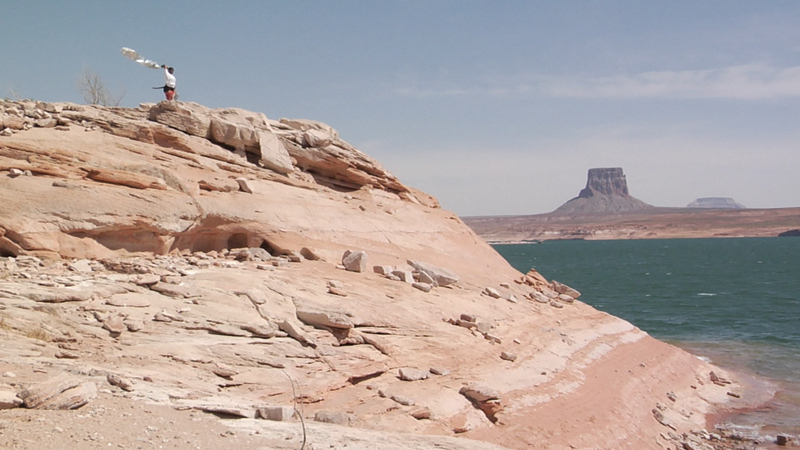 Still from A Smeary Spot, the desert. Still from A Smeary Spot, the Ob-surveyor. 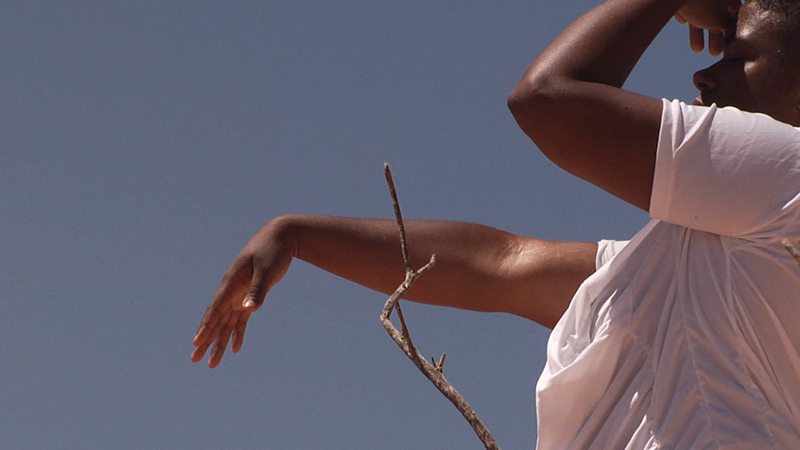 Still from A Smeary Spot, a Free Radical in the desert, builds movements to measure space with their body. 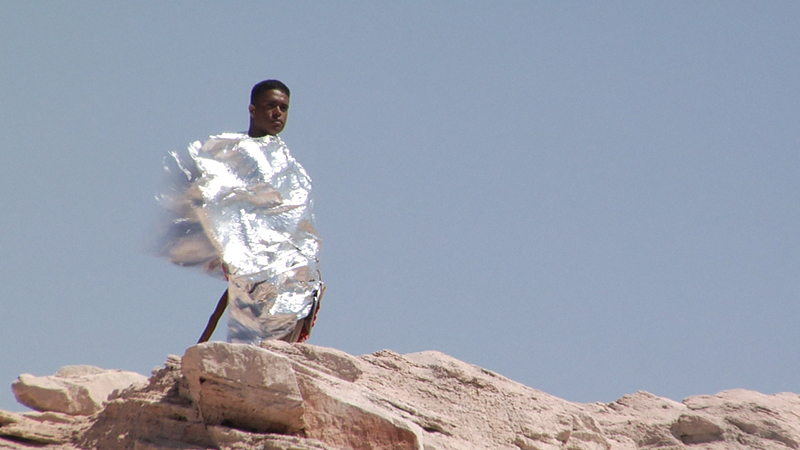 Still from A Smeary Spot, a Free Radical in the desert. 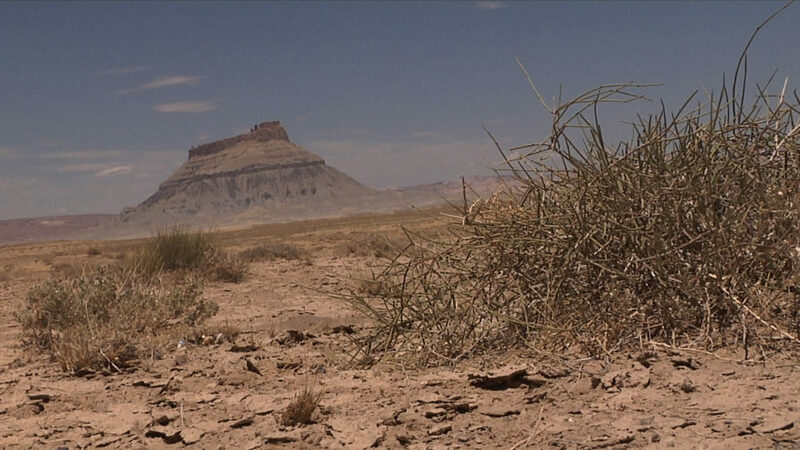 Still from A Smeary Spot, the desert landscape. 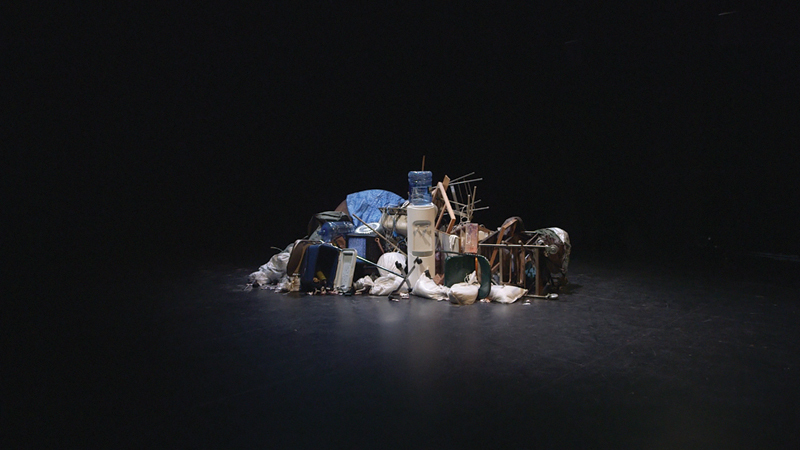 Still from A Smeary Spot, the waste pile from which all activities in the theater are built and all objects return to. Still from A Smeary Spot, Aunt Be/e as ‘re/productive labor’ with the waste pile. 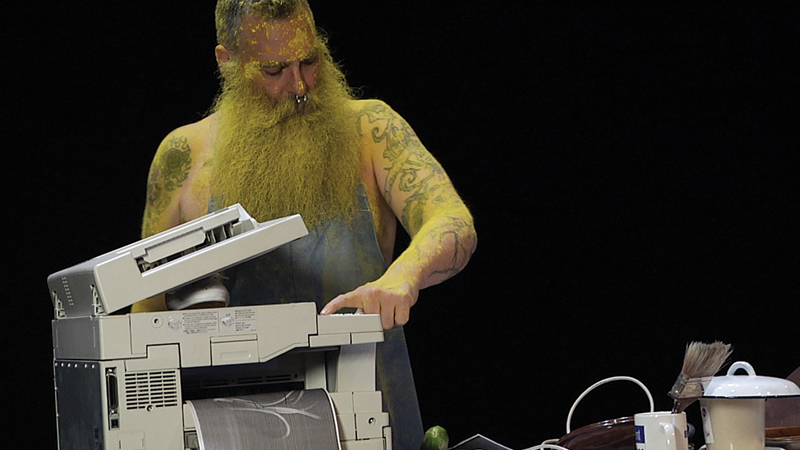 Still from A Smeary Spot, Aunt Be/e as ‘re/productive labor’ making copies. 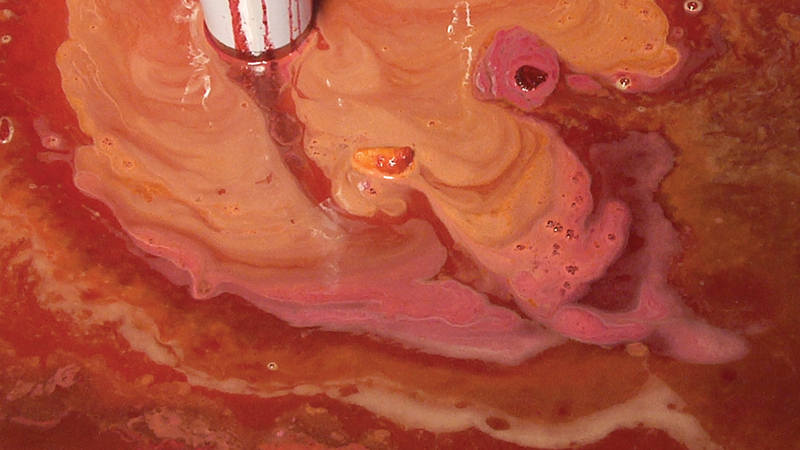 Still from A Smeary Spot, Aunt Be/e operating the juicer, transforming solids into liquids. 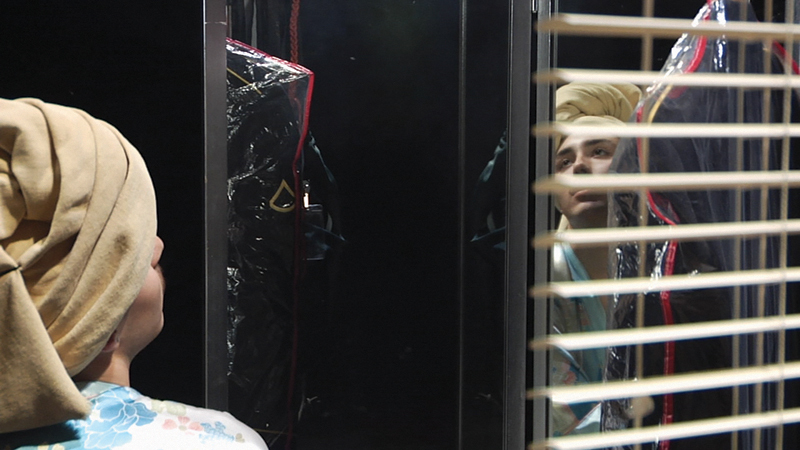 Still from A Smeary Spot, Free Radicals gather materials before heading out. 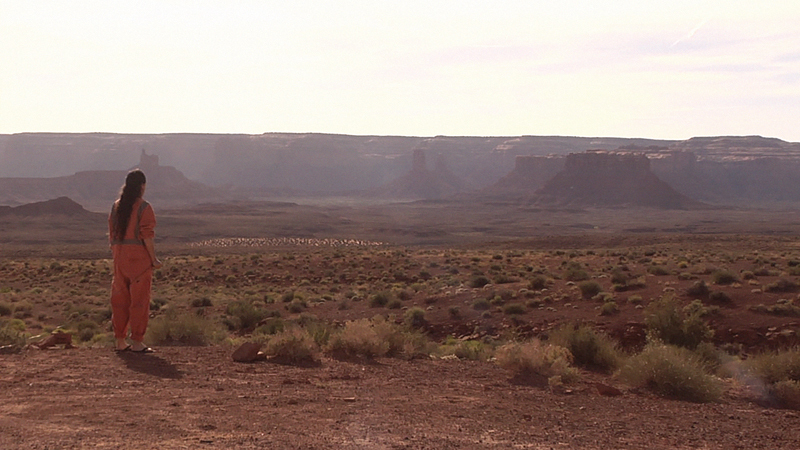 Still from A Smeary Spot, Free Radicals wandering the desert scape. 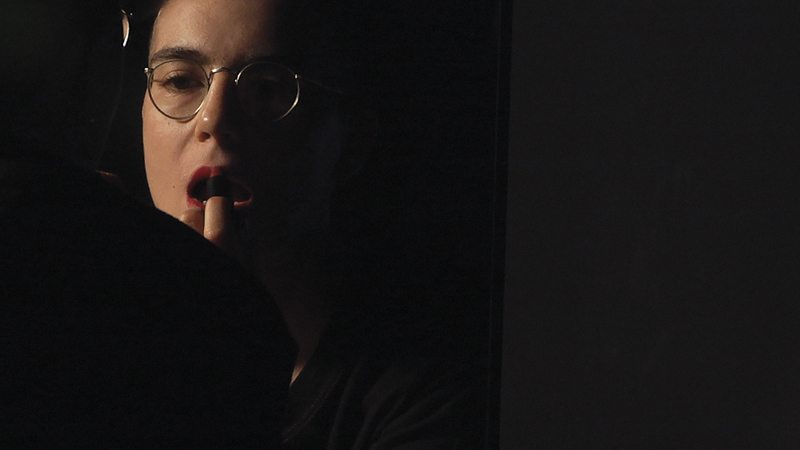 Still from A Smeary Spot, within the theater a Free Radical applies lipstick while reciting a text by Ursula K. Leguin about walls and boundaries. 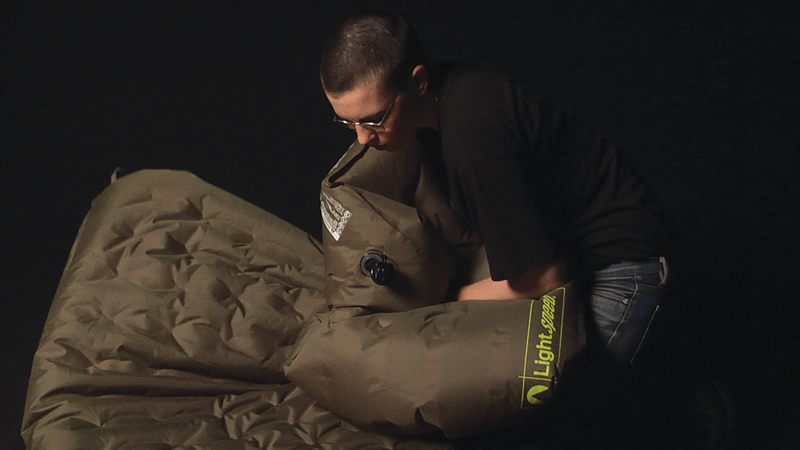 A still from A Smeary Spot, in which a Free Radical releases all the air from an air mattress while reciting a text on how matter comes to matter. Still from A Smeary Spot, the Shape-shifter as Olympia and pondering the counter-capitalistic value of a lesbian identity through a recitation of Guy Holquenquim The Screwball Asses. 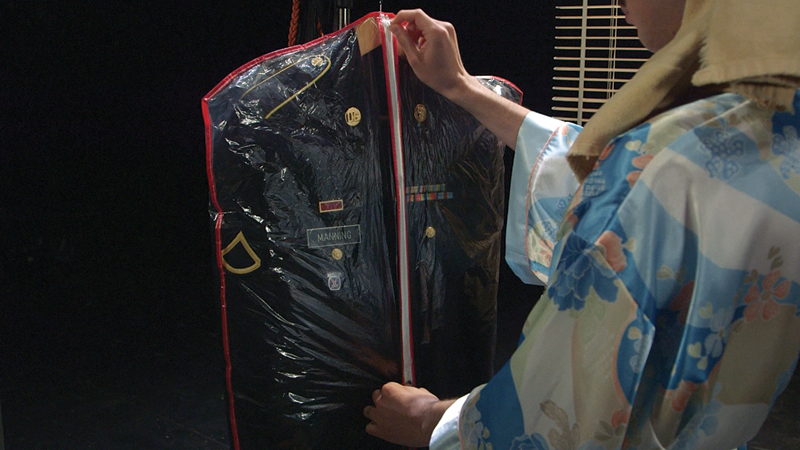 Still from A Smeary Spot, the Shape-shifter caresses Manning’s military jacket. Still from A Smeary Spot, a Free Radical seducing and flagging the sun. Still from A Smeary Spot. 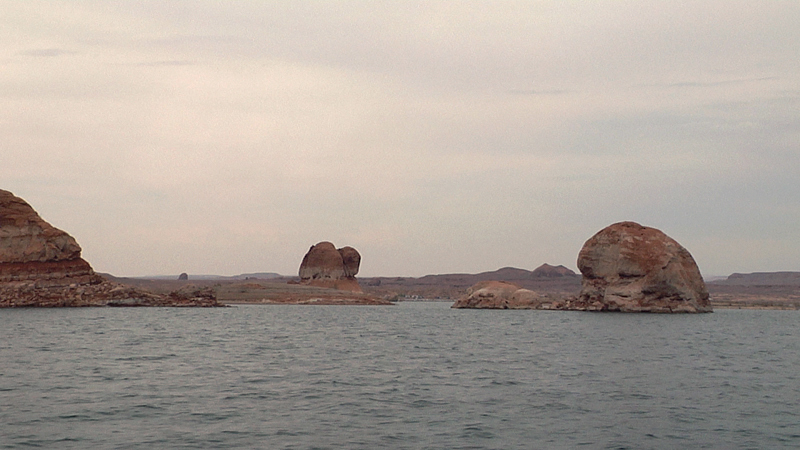 Still from A Smeary Spot, a surreal water-scape created by the damning of a river. 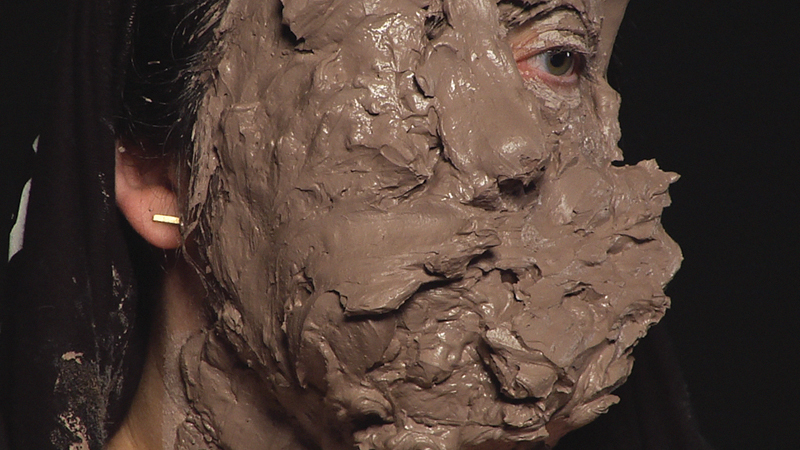 Still from A Smeary Spot, a Free Radical applies a mud mask in excess while reciting an excerpt from T.S. Elliot’s Waste Land. 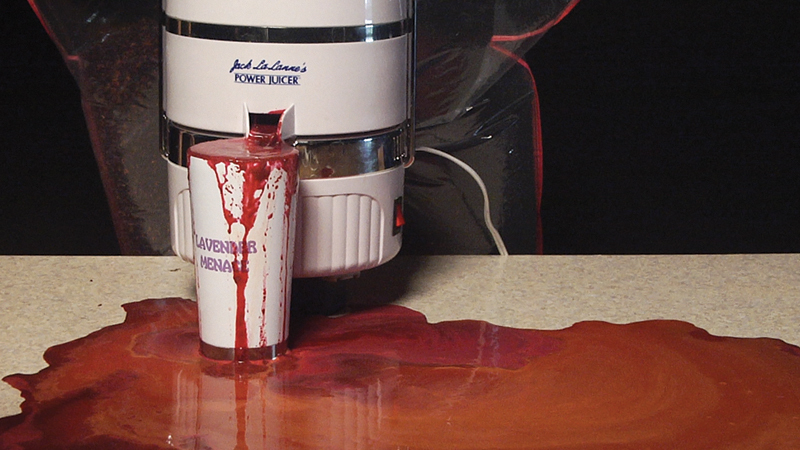 Still from A Smeary Spot a juicer used by Aunt Be/e overflows. Still from A Smeary Spot, the overflow appears like strata in desert scape. Excerpt from ‘A Smeary Spot’ (opening episode from ‘Negative Space’), 2015, A.K. Burns from A.K. Burns on Vimeo.